All the practical information you need to know about Prince Henry Cliff walk. 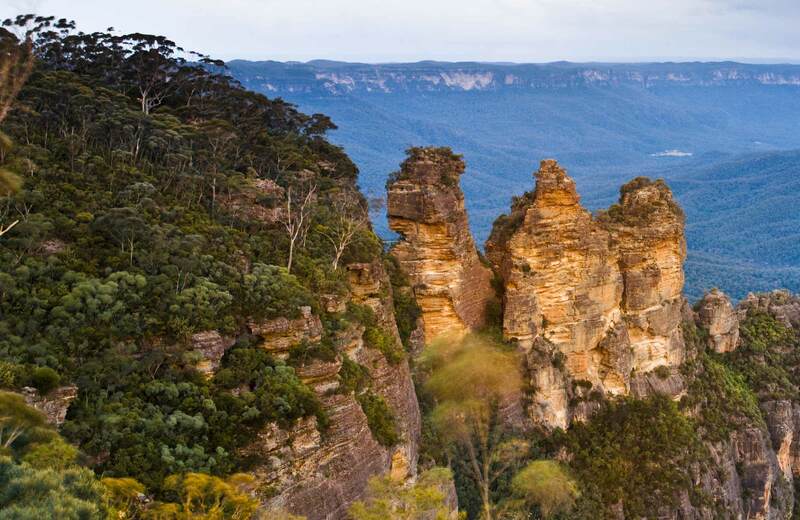 Prince Henry Cliff walk follows the cliffs from Katoomba to Leura in the Blue Mountains National Park. Turn off at Katoomba and follow the signs to Echo Point lookout (Three Sisters). Follow Leura Mall then turn left into Olympian Parade and continue to the intersection with Lone Pine Avenue. Gordon Falls lookout and picnic area, is located at the end of Olympian Parade. Parking is available at either Katoomba Cascades, Echo Point lookout, or Gordon Falls near Leura. Toilets, picnic facilities, drinking water and a kiosk are located at Echo Point lookout, Katoomba Cascades and Gordon Falls. If you're keen to head out on a longer walk or a backpack camp, always be prepared. Read these bushwalking safety tips before you set off on a walking adventure in national parks.